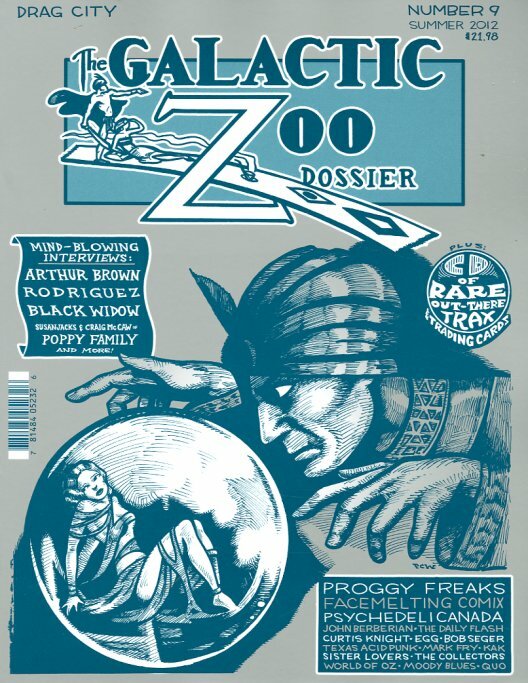 I just got the latest issue of Galactic Zoo Dossier and wowwwweee, what a beaut! With Plastic Crimewave I did an interview with Susan Jacks and Craig McCaw of the Poppy Family. Plastic Crimewave hand draws and letters and designs the whole massive magazine complete with perforated sheets of trading cards and a CD! The issue also has him doing an Arthur Brown interview, Sixto Rodriguez, examples of tripped out comics, and so much more!